Our parish welcomes new members to our faith community. Catholic persons new to our area must complete a registration form and be interviewed by the pastor. Please call or stop by the Parish office to complete a registration form. We should also be notified if your address has changed or if you are leaving the parish. We, the people of St. Mary of Czestochowa, are called to be a community of faithful parishioners who share in the saving mission of Jesus Christ. Within the mystical body of the holy Roman Catholic Church, our individual and collective mission is to worship God, study the Scripture, celebrate the sacraments, and proclaim the Good News of the Gospel. As Disciples of Christ, we reach out in love to serve one another in our local church. Every third Sunday of the month at 12:00. Parents are expected to attend Pre-Baptismal Classes. Arrangements to be made at the Parish Office. Only practicing Catholics may act as Godparents. Specific time is set for the celebration of marriage on Saturdays. The common Policy for all the Dioceses of New Jersey requires a period of preparation for the sacrament of Marriage, which includes sessions with the parish priest and attendance at either the Pre-Cana conferences or the Engaged Encounter Weekend. Therefore, arrangements are to be made at least one year in advance and before any social plans are finalized. Though immediate preparation is given to children before receiving these sacraments, it is expected that children receive a Christian education within their family life, through formal religious education classes, and by attending Sunday worship services. Arrangements for Communion Calls to the sick at home may be made by calling the Parish Office. Father Leon S. Aniszczyk was born on March 10, 1945 to Czeslaw and Albina Lubartowicz Aniszczyk in Bartniki, Poland. He grew up in a family of six children – three sisters and two brothers. In 1963, he entered the Major Seminary of SVD Fathers in Pieniezno, Poland. After a two year military commitment ending in 1967 Fr. Leon enrolled in the Major Seminary of the Diocese of Lomza, where he studied Philosophy and Theology. Ordained on May 27, 1973 in the Diocese of Lomza by Bishop Alexander Moscicki. He celebrated his first Mass on June 5, 1973 at Filipow, His first parish assignment was at St. John the Baptist Church in Wizna, Poland, followed by the parishes of Sacred Heart in Augustow; Visitation in Sejny; St. Mary’s in Ostrow Mazowiecka and Holy Trinity in Grajewo, Poland. In 1981 he went to Levuen, Belgium to study Portuguese in preparation for his calling to do missionary work in Brazil. In 1982, Father Leon immigrated to the United States to the Diocese of Philadelphia where he served at St. John Cantius Church and St. Ladislaus Church. In January of 1984 Bishop Theodore E. McCarrick accepted Fr. 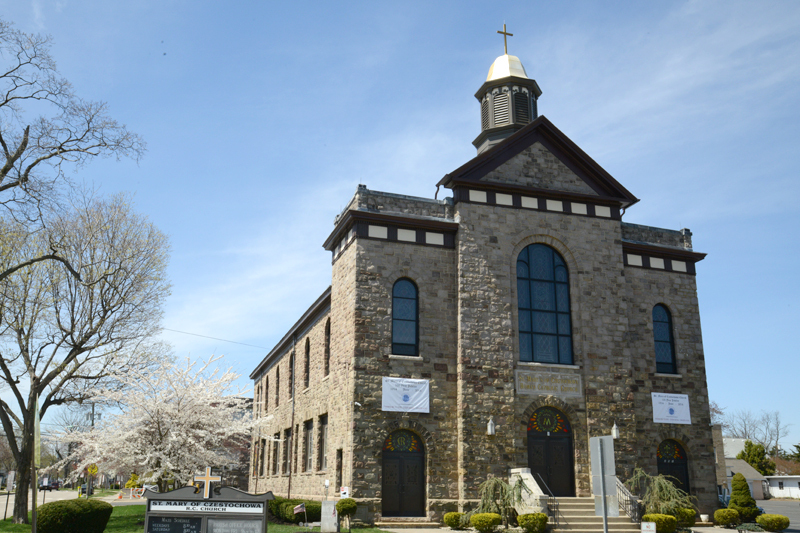 Leon into the newly formed Diocese of Metuchen where his first assignment was to Sacred Heart Church in Manville and later to Sacred Heart Church in South Amboy; Mary Mother of God Church in Hillsborough; St. Bernard Church in Bridgewater; and St. Mary of Ostrobrama in South River. In February 1992, he became the temporary administrator at St. Stanislaus Kostka Church in Sayreville and then appointed pastor in September 1992 by Bishop Edward T. Hughes. On May 27, 1998 Fr. Leon celebrated his 25th Anniversary of Priesthood at St. Stanislaus. In November 1999. Fr. Leon resigned as Pastor because of health reasons. He visited Rome and following a sabbatical to Brazil he was assigned to Immaculate Conception Church in Spotswood. On June 10, 2003 he was appointed as an Administrator of St. Mary of Czestochowa Church in Bound Brook and on August 27, 2004, Father Leon was appointed Pastor of St. Mary of Czestochowa Church. In 2011 Father faced with some major repairs, undertook the project of restoring the interior of St Mary to it’s original design. Windows were removed, releaded and restored to new window frames. Polish artists were commissioned to paint and mount murals for the ceiling in the Church and to enhance the sanctuary and side altars. The stations of the cross were dismantled stripped of years of paint and now depicted the stations following the light of the time of day. Oak wooden floors and wainscoting added the perfect touch to the restoration. This part of the restoration was completed 2012. 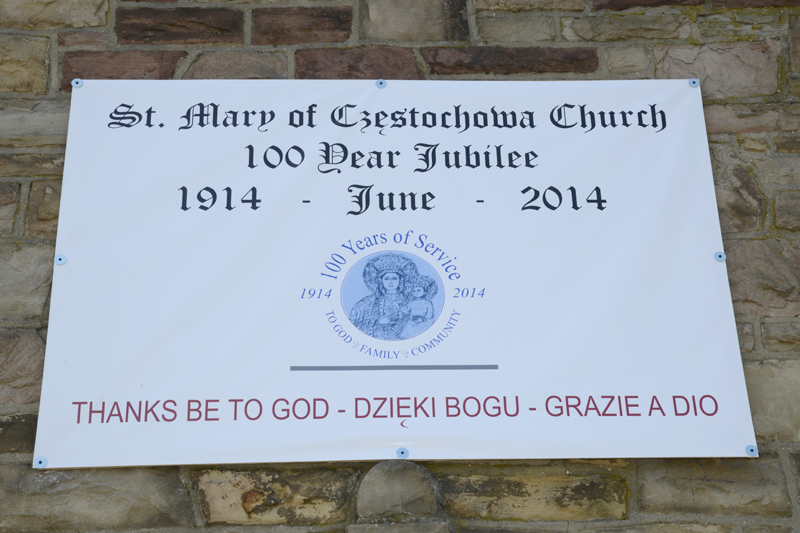 Father has celebrated his 40th anniversary with the parishioners of St. Mary of Czestochowa in 2013. 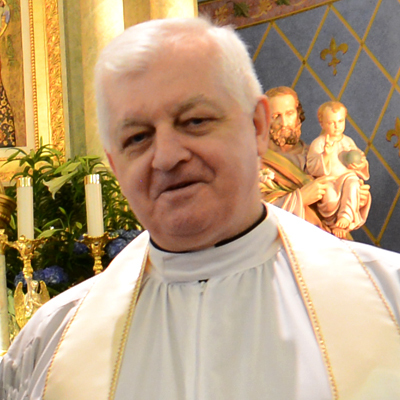 Father John Stec, parochial vicar of St. Mary of Czestochowa Parish, Bound Brook, was born in Jablonka Orawska, Poland, to the late Jan and Maria Swietek Stec. He attended schools in his hometown before attending Krakow Archdiocesan Seminary, 1968-74. Ordained May 19, 1974 in Krakow by cardinal Karol Wojtyla, now St. John Paul II, Father Stec served in various parishes in Poland before emigrating to the United States in 1984. He first served the Archdiocese of Nawark as an extern priest at Most Sacred Heart Parish, Wallington, and Our Lady of Mount Carmel Parish, Bayonne. Father Stec joined the Diocese of Metuchen in 1986 as parochial vicar of Sacred Heart Parish, Manville. He served as parochial vicar in St. Stephen Parish, Pert Amboy; St. Mary of Czestochowa Parish, Boound Brook; and St. Magdalen de Pazzi Parish, Flemington. Father Stec was incardinated into the diocese Jan. 10, 1994 and appointed to his first pastorate in St. Stephen, Parish, Perth Amboy May 17, 1994. He was transfered in 2006 to St. Mary of Ostrabrama Parish, South River, and St. Stephen Protomartyr, South River, where he served as parochial vicar until being transfered to Holy Family Parish now Divine Mercy Parish in 2007. In 2013 Father Stec was assigned to St.Mary of Czestochowa Parish. Bogdan Osewski started playing the organ at St. Mary of Czestochowa in 1996, and at the same time the choir „Gaudium et Spes” started. In the following years, the choir began to sing every Friday during a special worship before year 2000. The choir also provided music for all the major Catholic holidays like Christmas, Easter, Stations of the Cross, 40-ty Hour Devotions, Our Lady of Czestochowa feast and the anniversary of the election of Pope John Paul II. The choir also provided services for the Polish Supplementary School for Jaselka and the ceremonies for the beginning and the end of the school year. In the year 2005, after the passing of John Paul II the choir prepared a special program dedicated to the Holy Father. 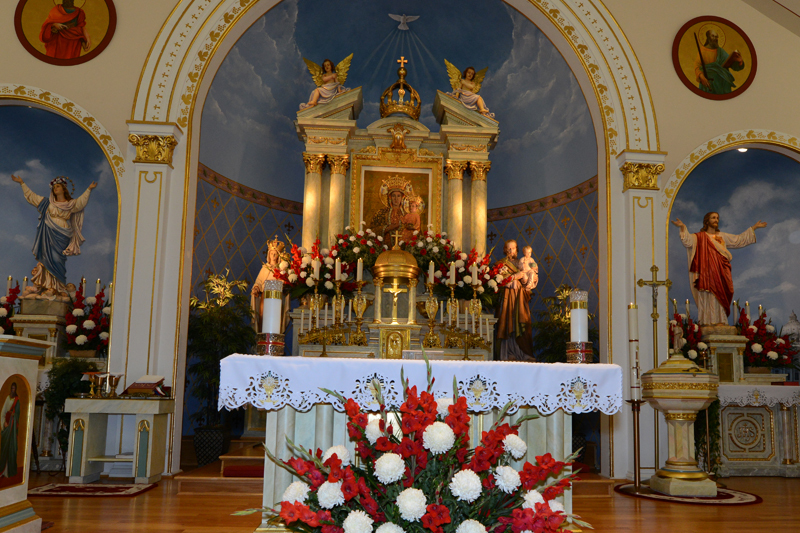 The “Gaudium et Spes” choir also performed nightly services at the Polish Festival at National Shrine of Our Lady of Czestochowa, Doylestown, PA. In 2008, the choir recorded their first album, “Jak Ci Dziekowac” and a year later recorded a Christmas album entitled “Swiat na Ciebie czeka Panie”. The following preformed on the 2 albums; Marzena Blaszkiewicz, Teresa Has, Dorota Surtel, Elzbieta Laskowska, Irena Ospelt, Elzbiea Ozog Osewski, Bogdan Krol, Krzystof Lis, and Bogdan Osewski. "You shall love the Lord, your God, with all your heart, with all your soul, and with all your mind and you shall love your neighbor as yourself." "O my God, relying on your infinite goodness and promises, I hope to obtain pardon of my sins, the help of your grace, and life everlasting, through the merits of Jesus Christ, my Lord and Redeemer. "O my God, I love you above all things, with my whole heart and soul, because you are all-good and worthy of all my love. I love my neighbor as myself for the love of you. I forgive all who have injured me, and I ask pardon of all whom I have injured.